Here’s what we suggest instead of/in addition to reading Alex & Eliza by Melissa de la Cruz. Listen to the podcast to hear us talk about some of these titles in more depth! Here’s what we suggest instead of/in addition to reading Killing Lincoln by Bill O’Reilly & Martin Dugard and/or Lincoln’s Last Days by Bill O’Reilly & Dwight Jon Zimmerman. Listen to the podcast to hear us talk about some of these titles in more depth! As you might have noticed, Kait, Renata, and their special guest, Bossy Dame Sophie, read Alexander Hamilton by Ron Chernow and have been listening to the Broadway cast recording of Hamilton the musical non-stop. We want you, too, to be in the room where it happens, so we recorded this special Best Bestseller bonus episode to discuss our love of Hamilton and do some readers advisory for both the biography and the musical. We also played some Founding Father FMK. We hope you’ll be satisfied with the scope of our minds at work on all counts! You don’t have to wait for it–if you’re able to take a break this holiday season, add some more items to your overflowing TBR list! 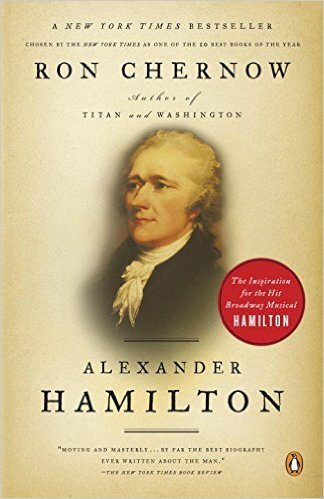 Here’s what we suggest in addition to reading Alexander Hamilton by Ron Chernow and listening to Hamilton the musical by Lin-Manuel Miranda. Listen to the podcast to hear us talk about some of these titles in more depth! Here’s what we suggest instead of/in addition to reading The Mistletoe Promise by Richard Paul Evans. Listen to the podcast to hear us talk about some of these titles in more depth!